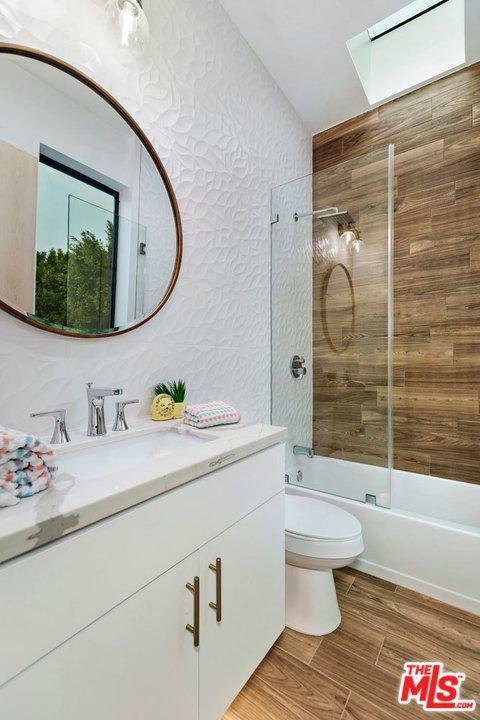 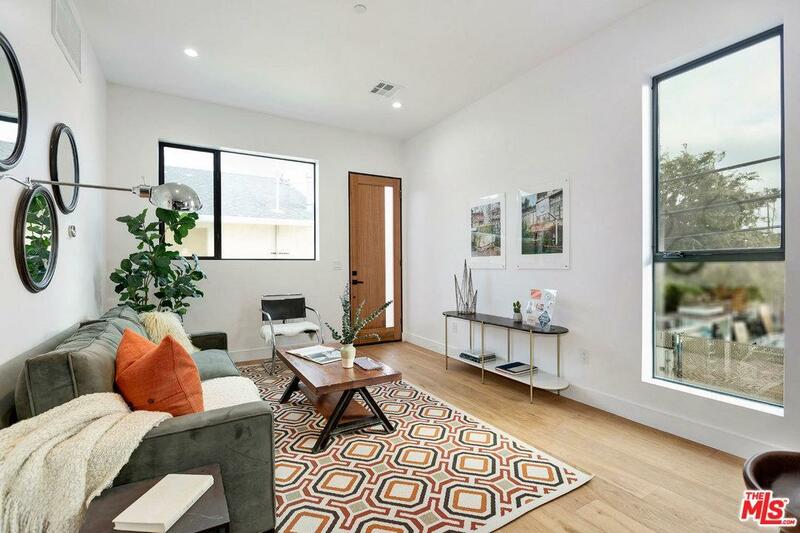 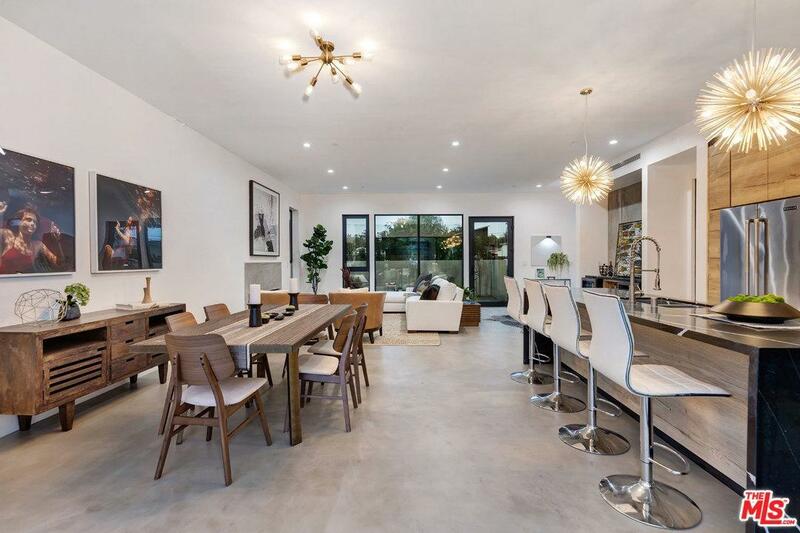 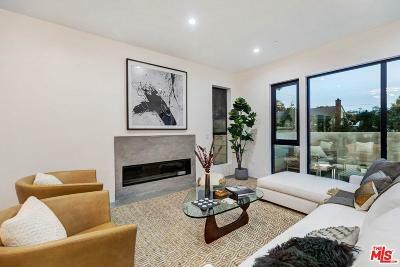 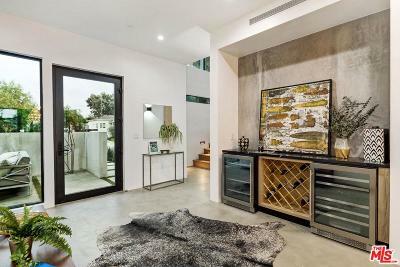 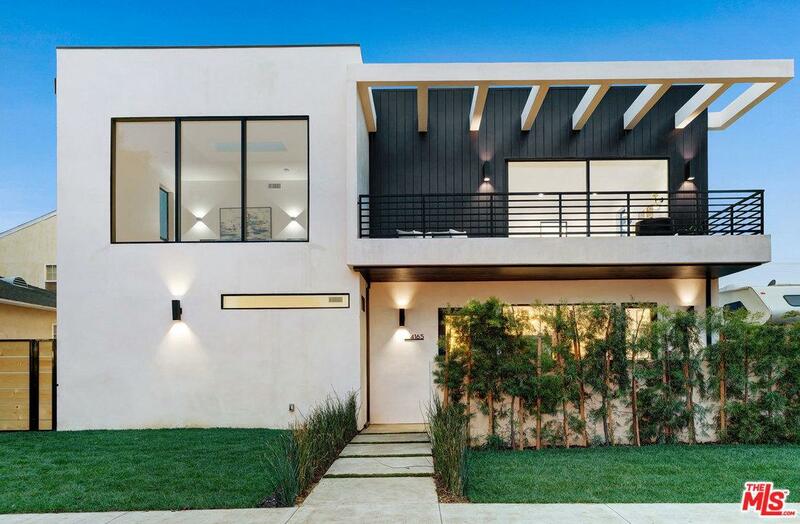 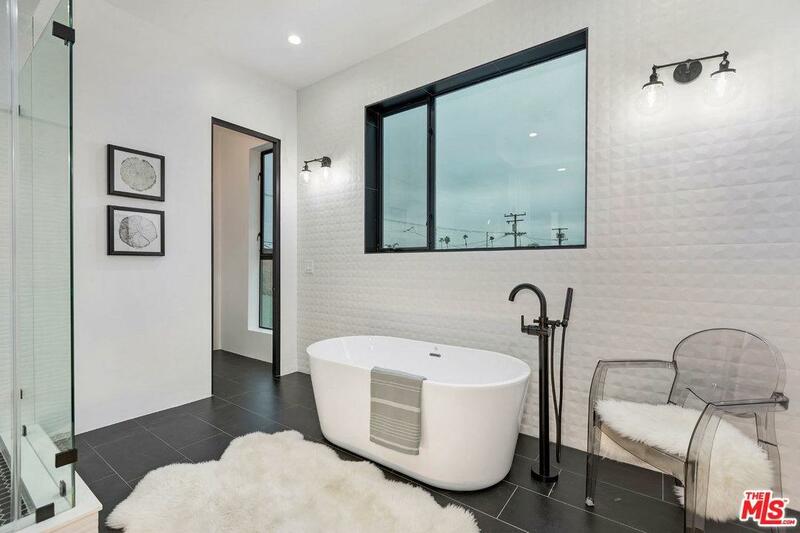 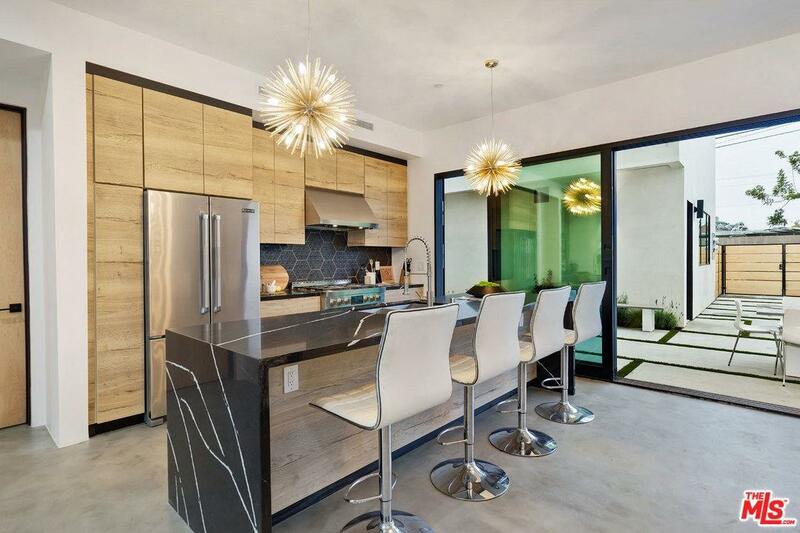 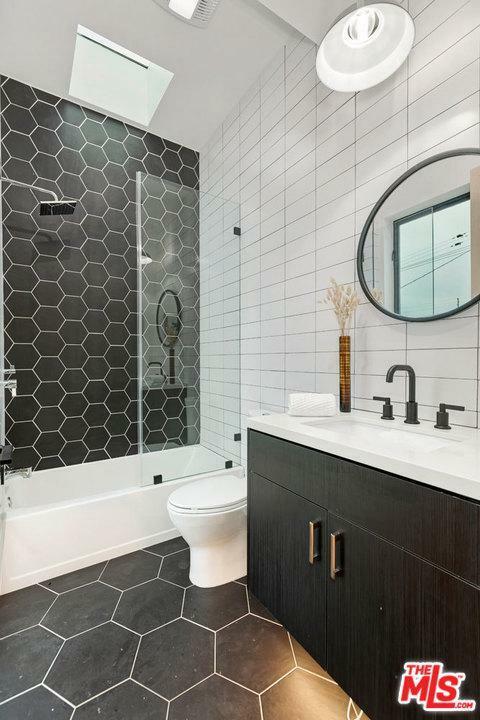 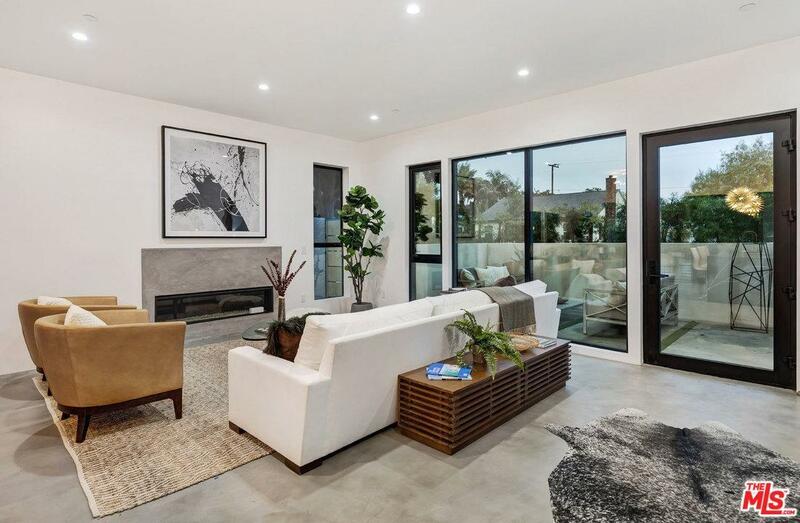 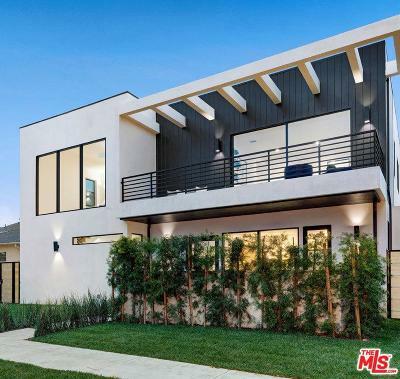 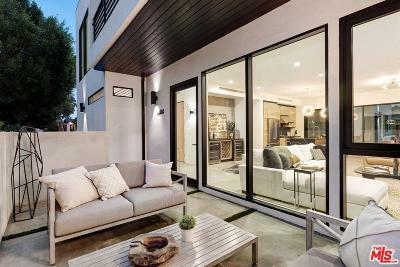 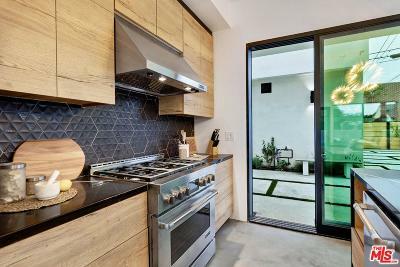 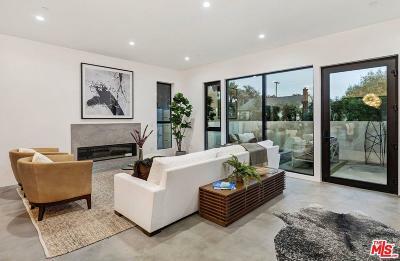 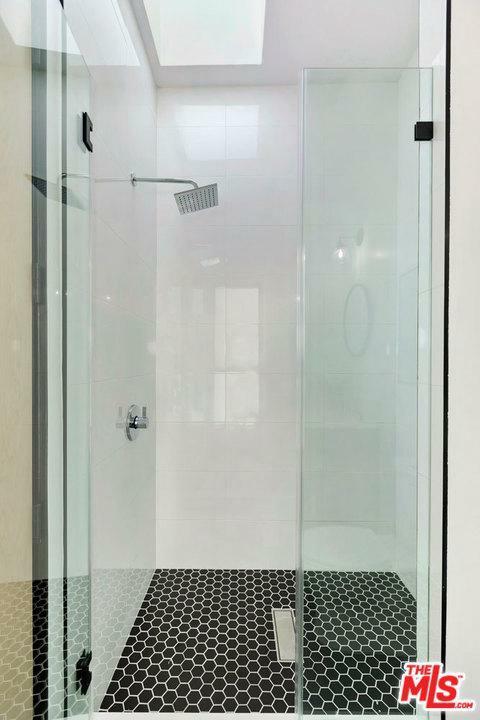 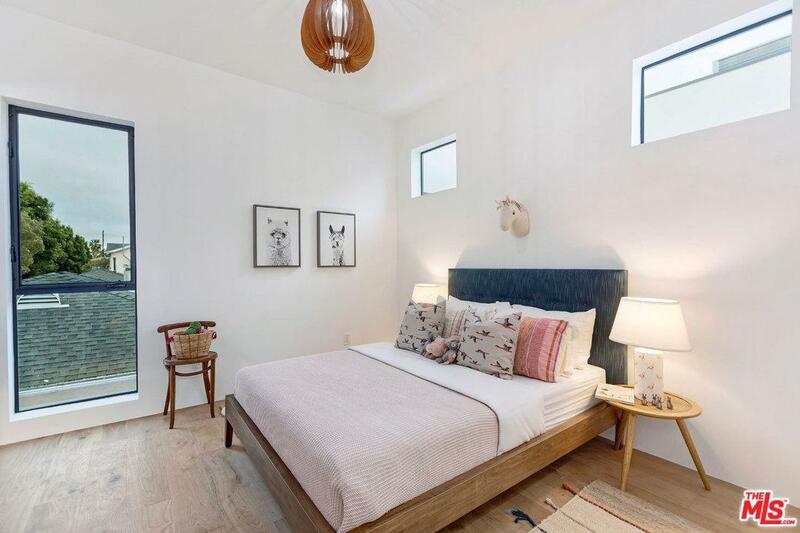 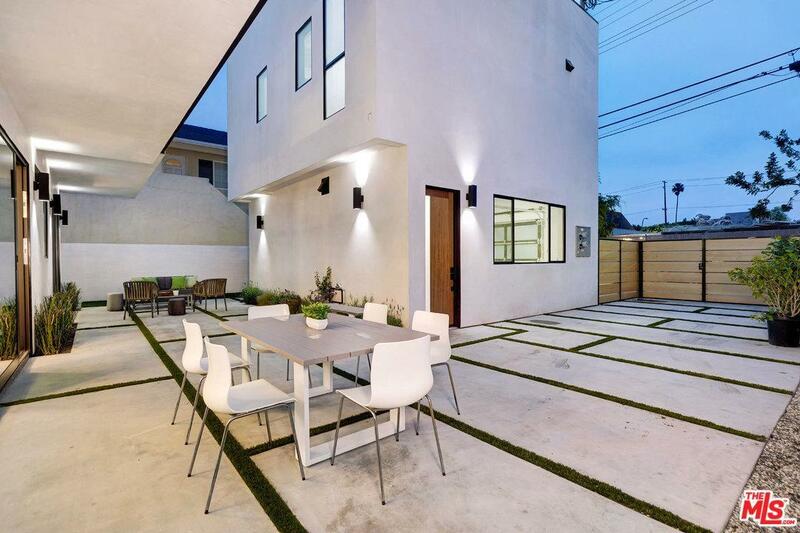 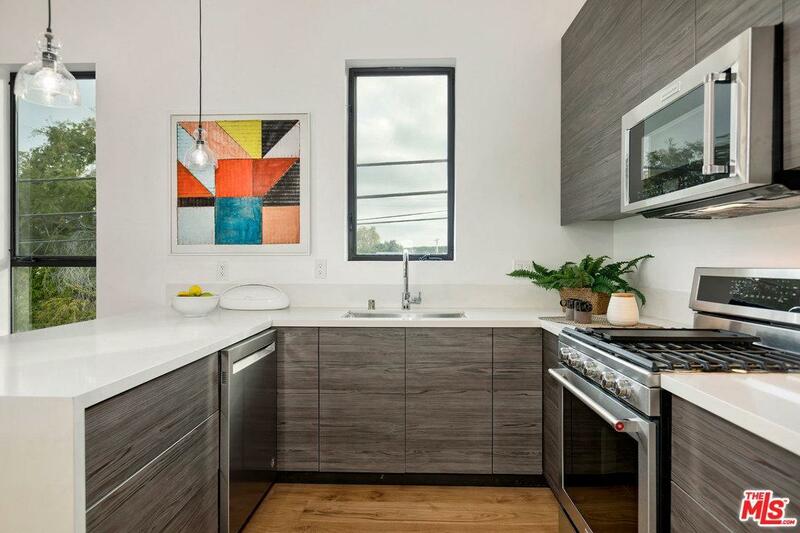 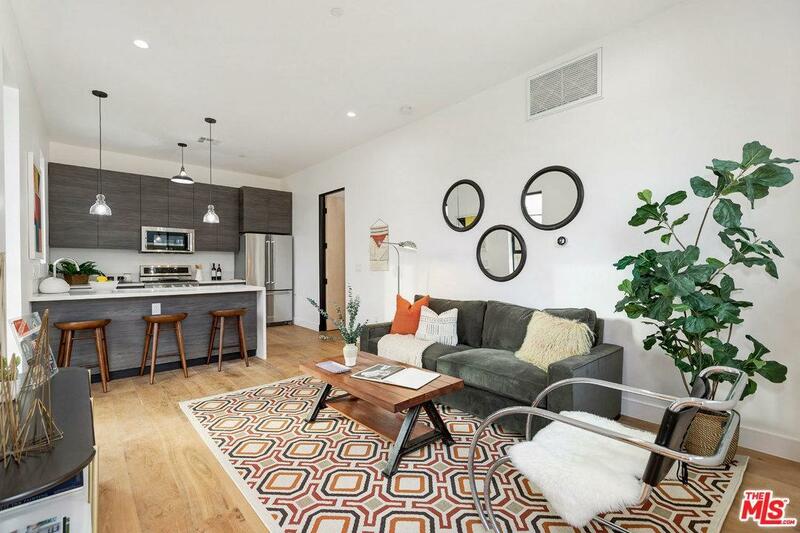 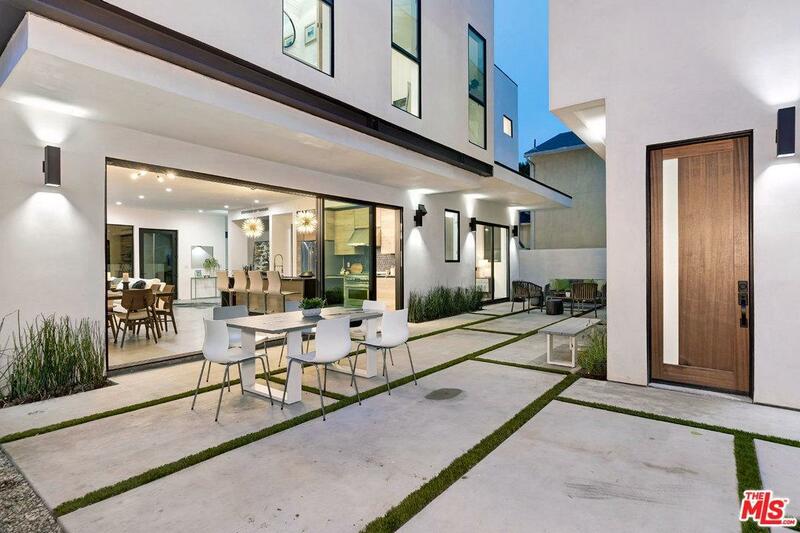 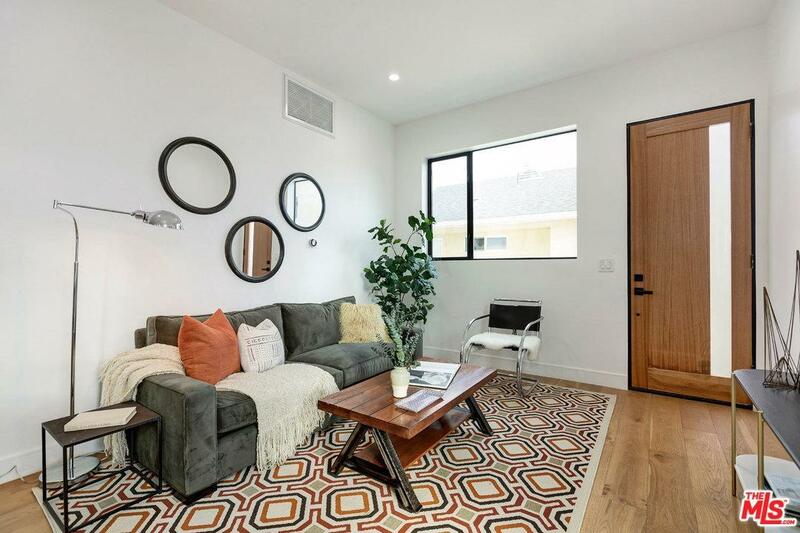 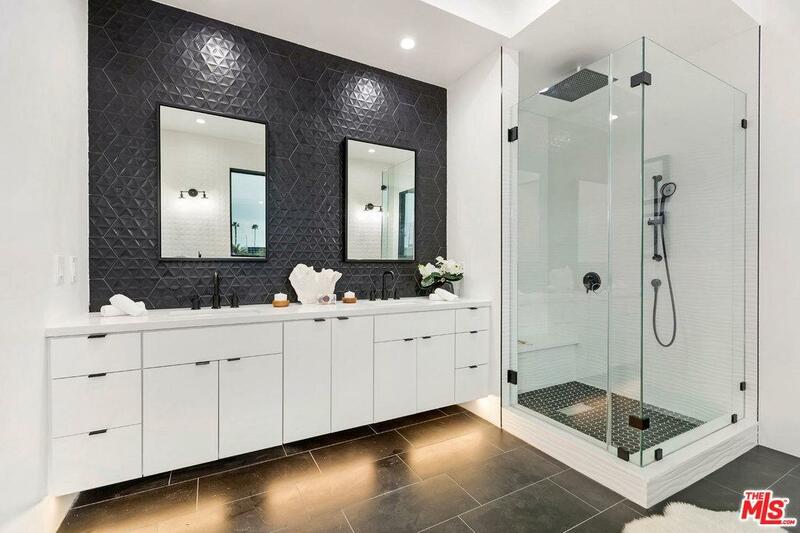 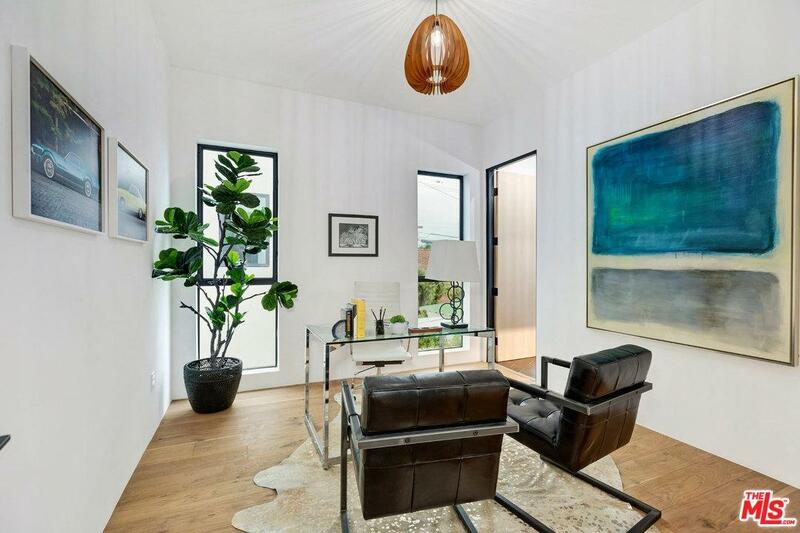 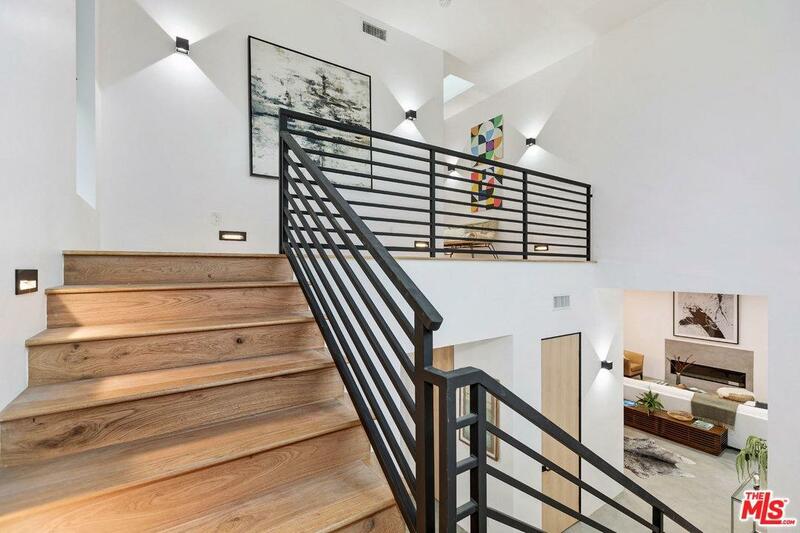 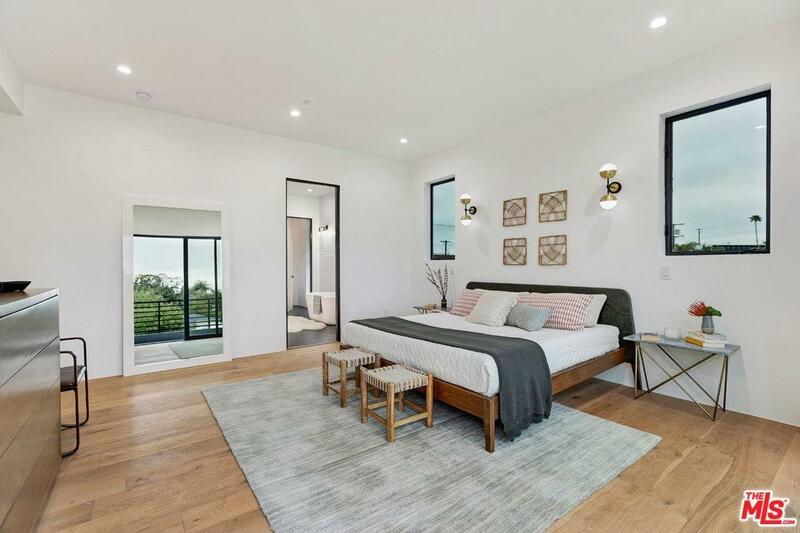 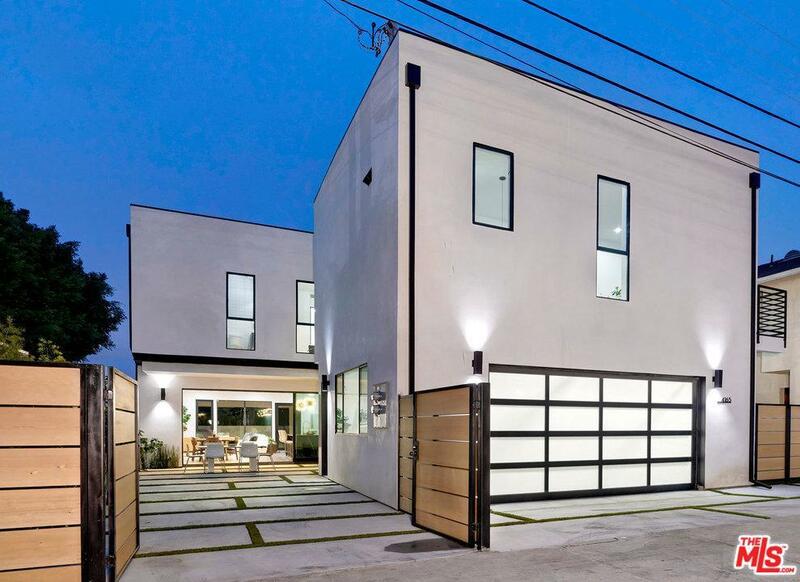 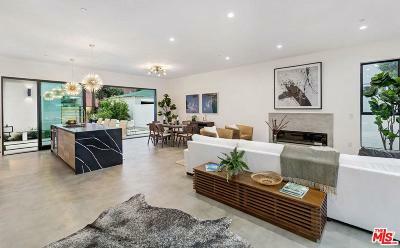 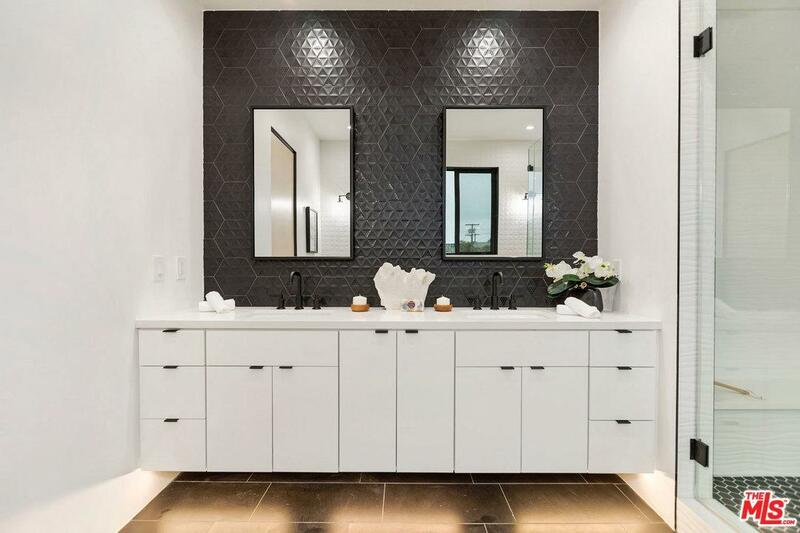 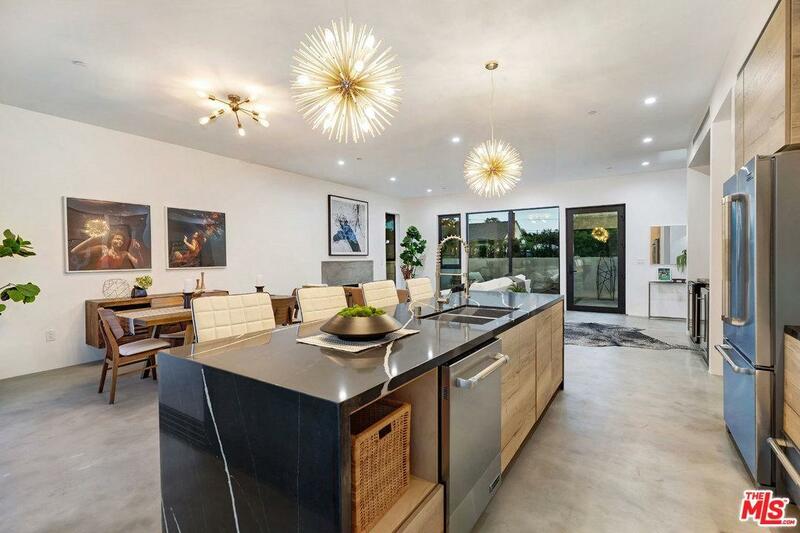 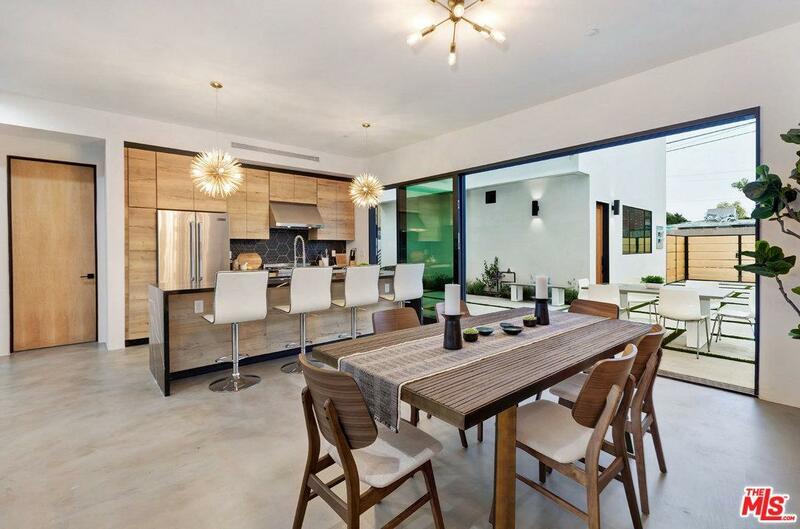 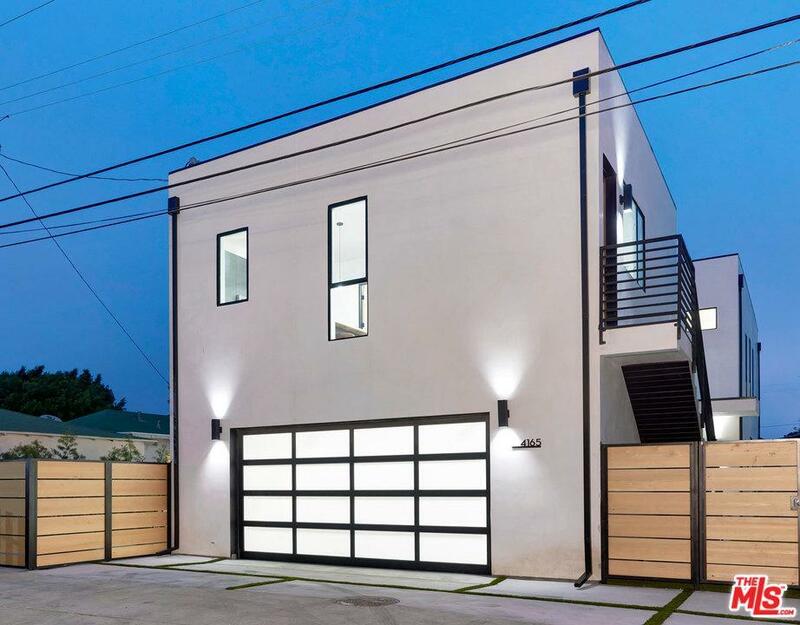 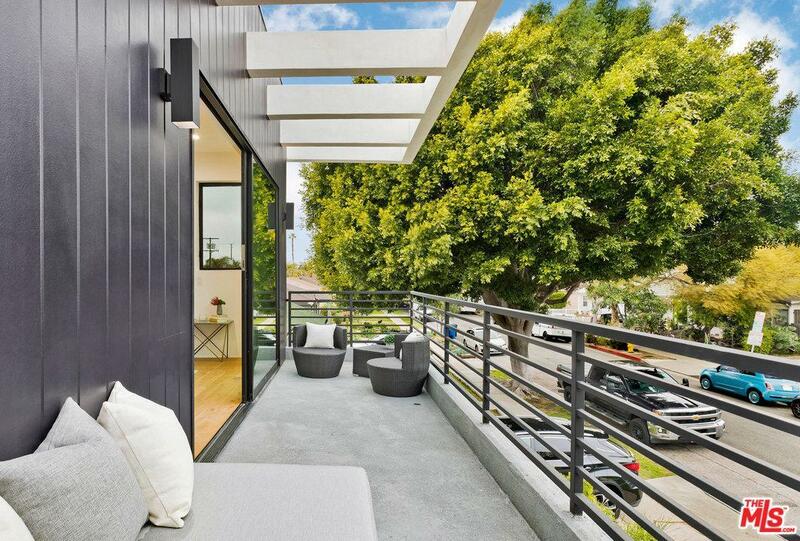 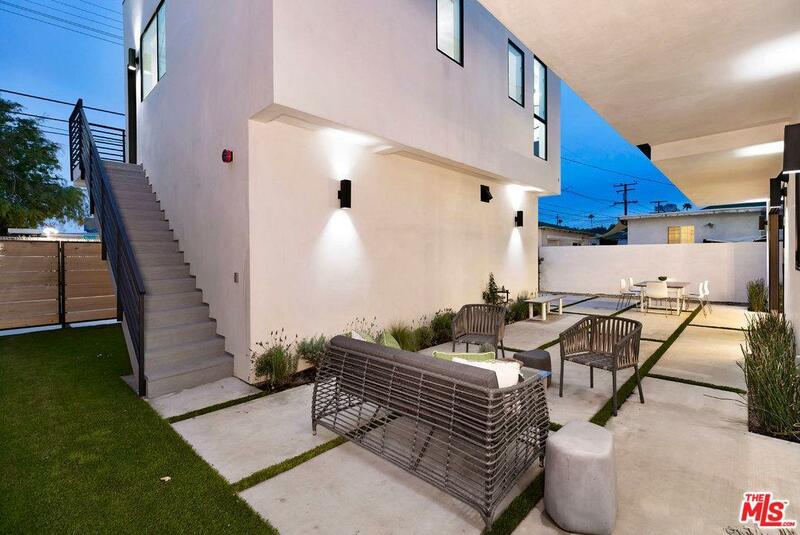 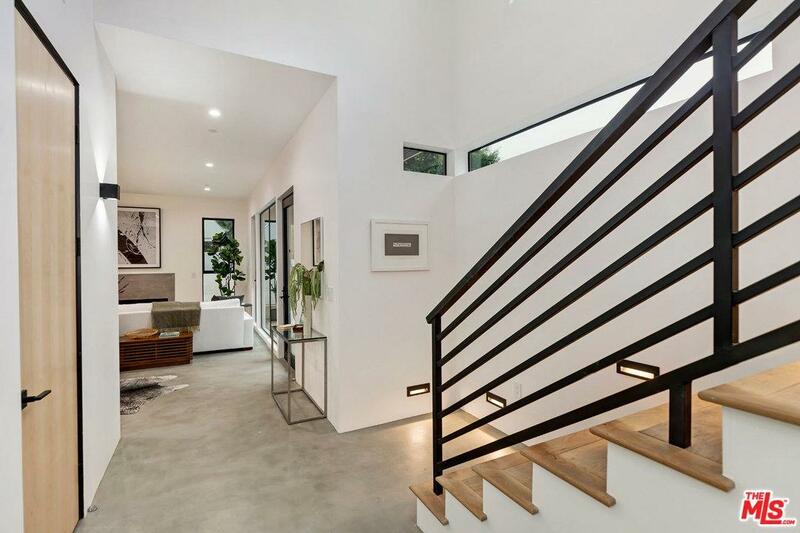 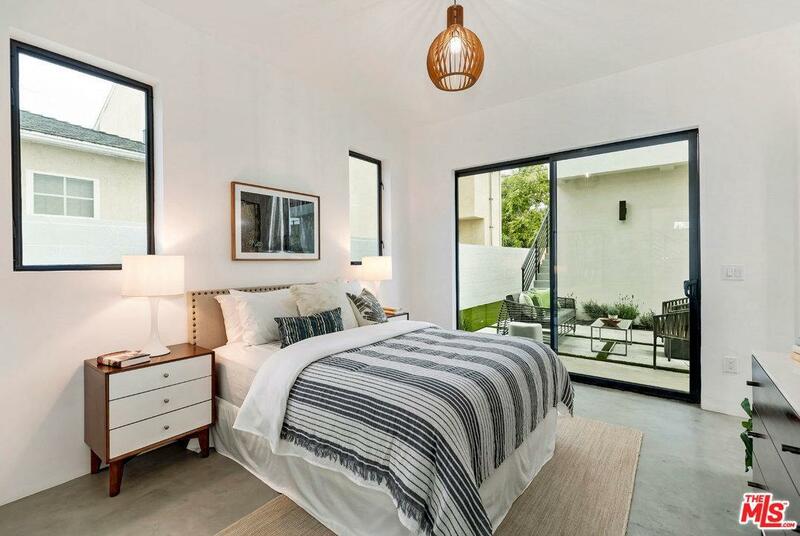 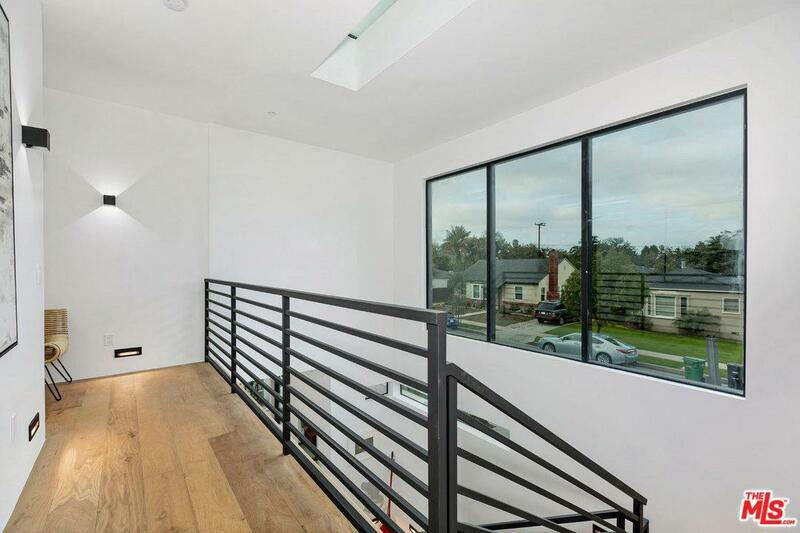 Extraordinary brand new luxury four bedroom Modern home (2,727sf) with a detached upper ADU one bedroom apartment (597sf) over an over-sized garage (545sf) on a beautiful tree-lined street, walking distance to many shops, cafes & restaurants. The home enjoys an open floor plan downstairs with large sliding doors & windows throughout, high ceilings, walk-in pantry, gas fireplace, private front & rear patios, built-in bar, breakfast bar, concrete floors and an en suite bedroom w/walk-in closet. 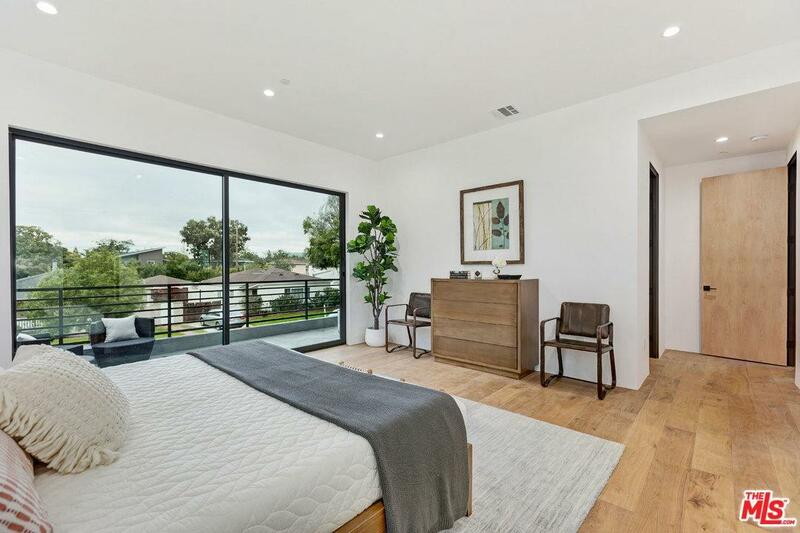 Upstairs, the Master enjoys a large balcony with treetop views, incredible bath & walk-in closet, two en suite bedrooms w/full baths & walk-in closets and a laundry room. 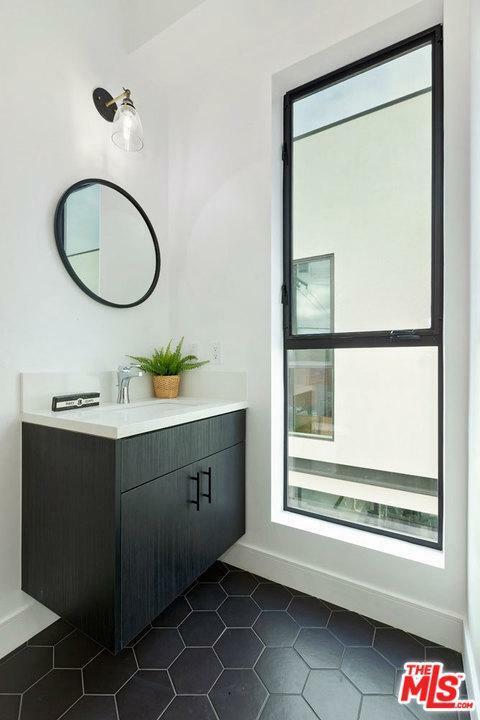 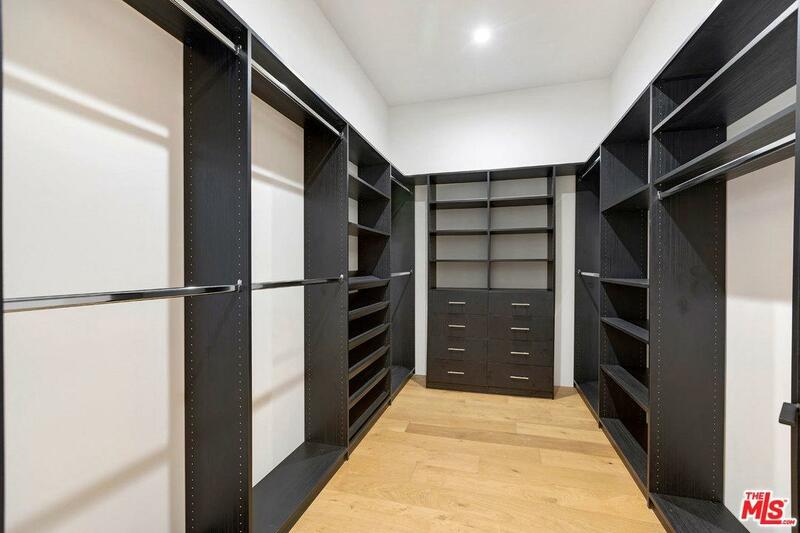 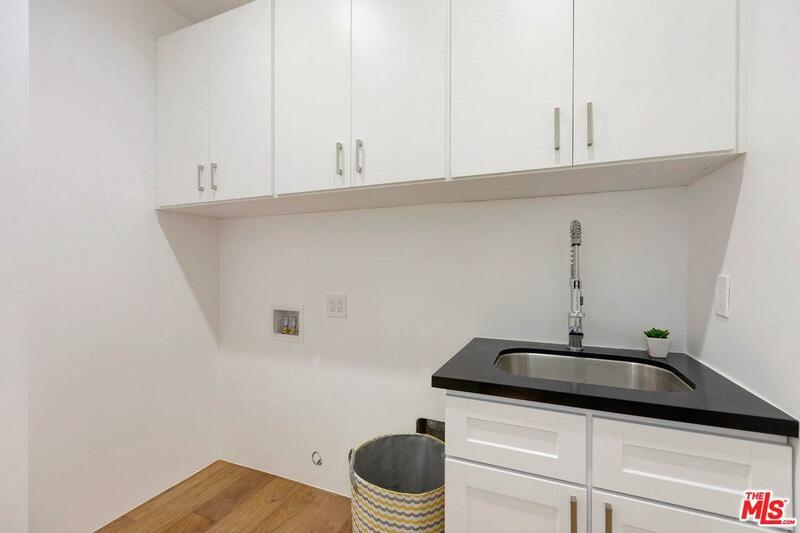 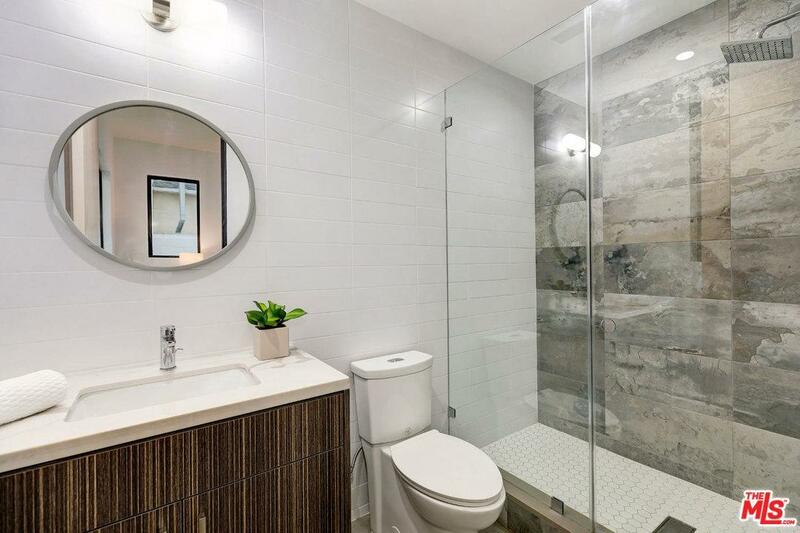 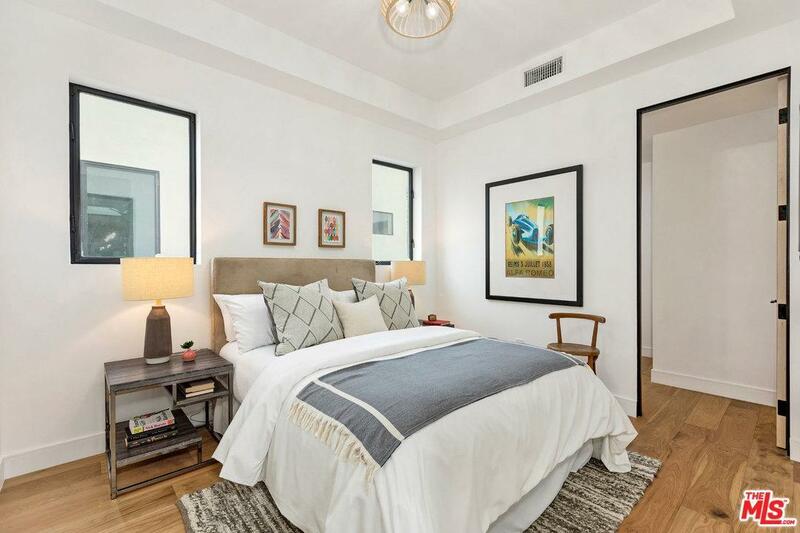 The one bedroom apartment has it's own laundry, walk-in closet, high ceilings & private access from the alley. 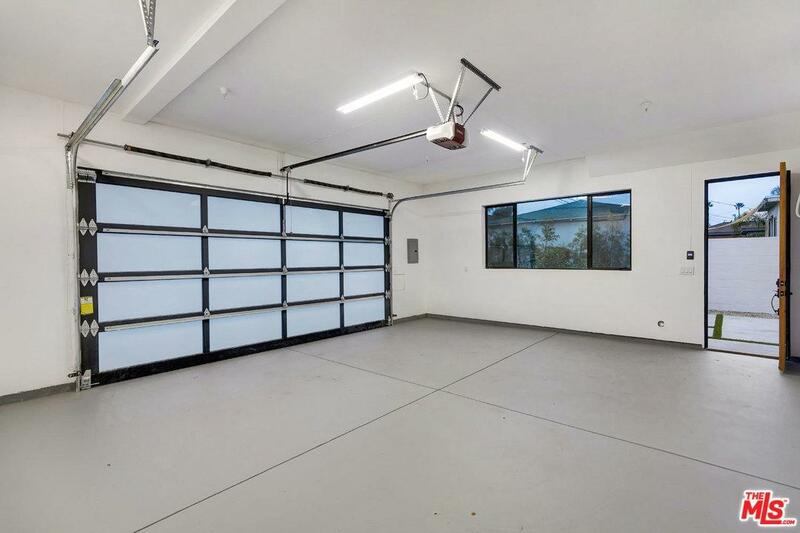 The garage is large enough for 2 full cars and toys. 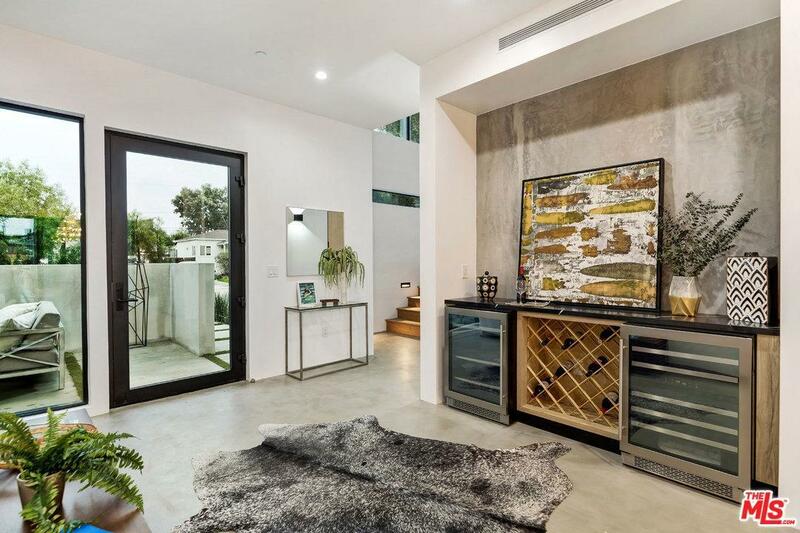 In addition to the garage is a gated open parking area large enough for an RV but designed as part of the backyard. 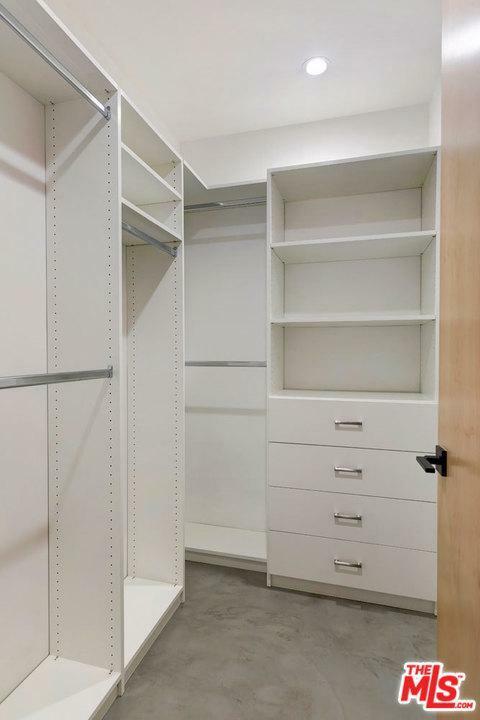 Incredible opportunity.